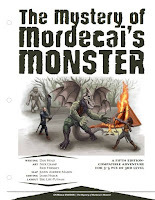 The Mystery of Mordecai's Monster for EN5ider by EN Publishing is now available for purchase. It is included in the EN5sider Volume 1. I did the cartography for this adventure written by Dan Head and illustrated by Nick Cramp and Rick Hershey. Who is Mordecai, and what has become of his latest creation? 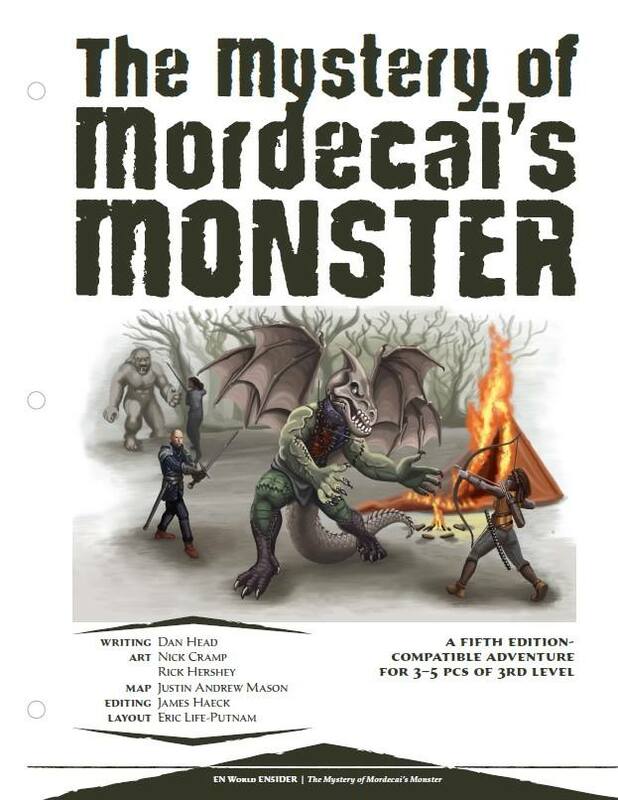 Can the PCs solve the mystery of Mordecai's monster before it's too late? An adventure for 3rd level characters. EN5ider is the new way to get regular gaming articles and adventures online. For a small monthly donation, you will receive rules articles, gaming advice, adventures, and more. You get one item per week (including one adventure per month). This adventure is available for purchase via DriveThruRPG and RPGNow.